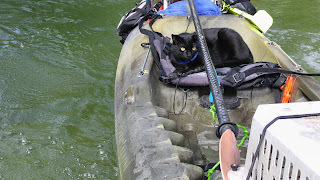 So this week I decided to do things just a little different when we were playing on the kayak toys. This week I decided to take my turn at running the show. There were several waterfalls and I went down one all by myself. You can see all the bubbles that were created by the water rapid. 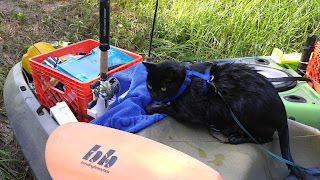 Continuing my duties I guided the kayak toy through another water rapid. Being this was my first time taking charge of the kayak toy I decided I had worked hard enough to take a Texas style break and wade in the pool for a time. After completing my work I inspected the kayak toy to make sure it was still in proper condition. 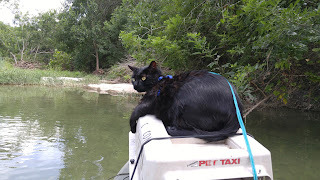 It was a fun day out on the water, but next time I may delegate that work to the underlings who paddle my kayak toy. 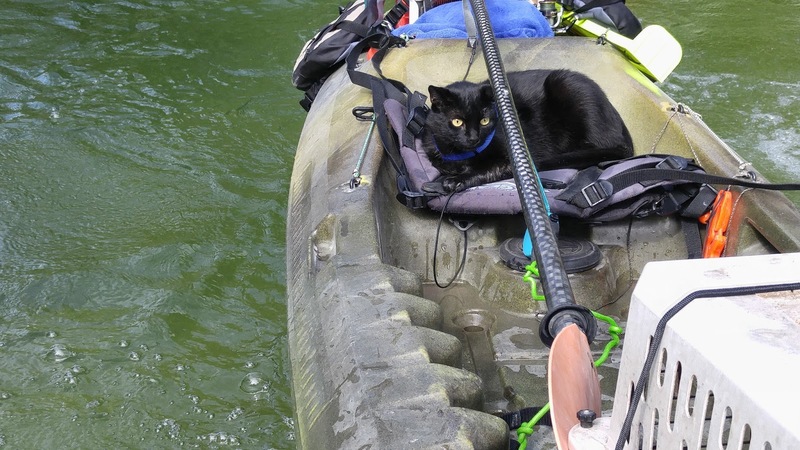 I did, I did, but my human had the rope at the end of the kayak. OMC! Shadow! You are in the water. I just can't get over that. 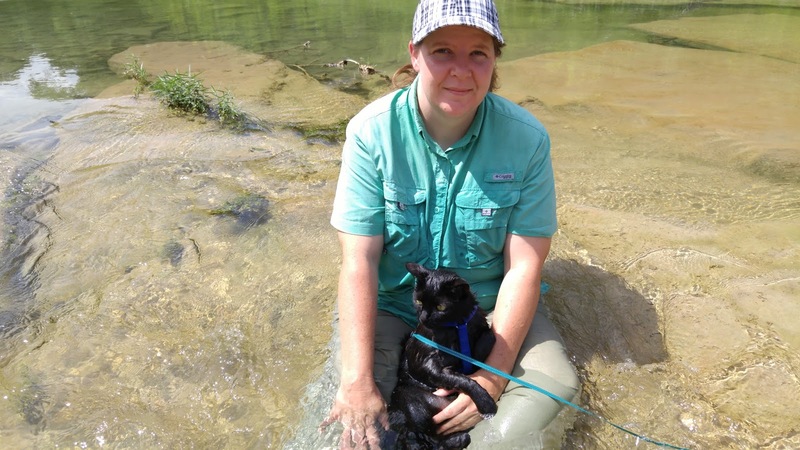 I recently went on my first road trip to BlogPaws, but let me tell you, there was NO water involved. 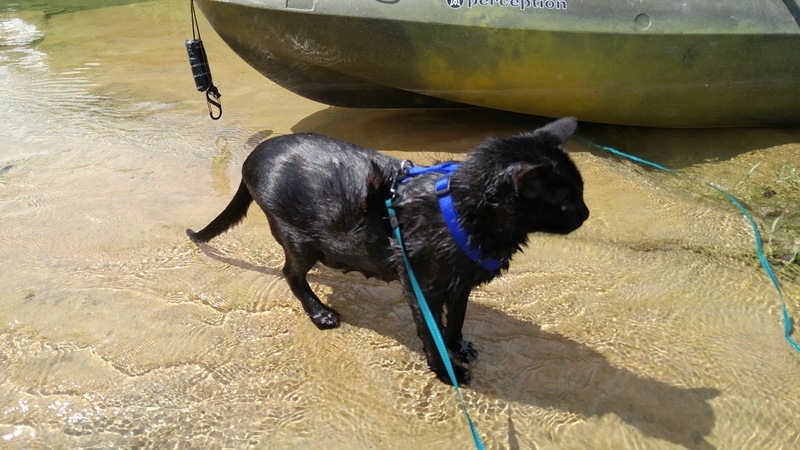 We can't believe you're in the water...and not shaking your paws like crazy! Shadow, you're going over the rapids? What a brave kitty you are! Oh my stars! You're amazing. Looks like you did a great job, Shadow!! !